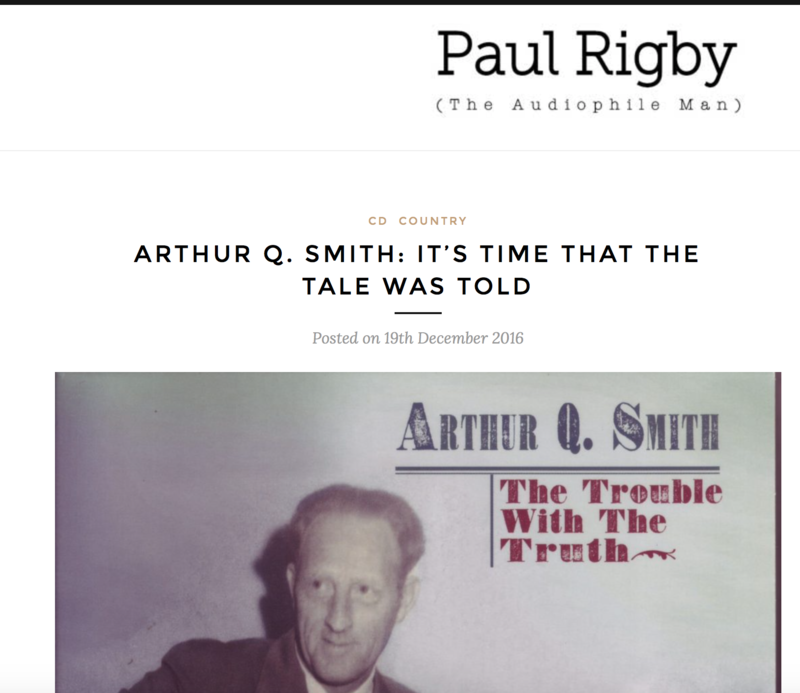 Well, he was new to me but Smith (or ‘Q’, as he was known to his friends) produced and sold hundreds of country songs in his time and many of them became hit songs. For who? How does Ernest Tubb, Hank Williams, Ricky Skaggs, Mickey Gilley, Carl Smith, Bill Monroe, Porter Wagoner and Dolly Parton grab you? And that’s not all of them! Smith was a performer as well as a writer and hung around radio station WNOX’s daily broadcast show, Mid-Day Merry-Go-Round, a place that many a future star – with Nashville in their sights – would stop to grow and mature before they left on the next stage of their career. Smith would ‘peddle’ his songs to performers and their colleagues outside on the street. The sadness of Smith and his career was that he undersold himself and his work. Singer, Carl ‘Mr Country’ Smith is quoted in the featured book that lies with this CD package. Apparently he quipped to Arthur, “…the best way to get a song off of you is to bring you a bottle of booze.” A quip that is infused with sadness, tragedy and, I have to say, a touch of cruelty. Smith did retort with, “Now, y’all are damed fools, you just think you’re getting my good ones.” It is true, though that he sold many of his songs to pay a bar tab. He was an alcoholic but he eventually died of cancer in 1963.